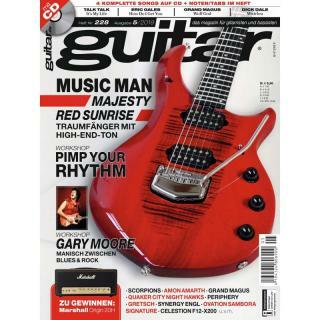 Die Themen der guitar 08/2012: Steel Panther, D-A-D, The Velvet Underground, Mötley Crüe, John 5, Zodiac, Workshop Effektboards, Pt. II, Fender American Standard 2012 Telecaster & Stratocaster (E-Gitarre), Ibanez RG920 MQMZ (E-Gitarre), Schecter JLV7NT (E-Gitarre) u.v.m. 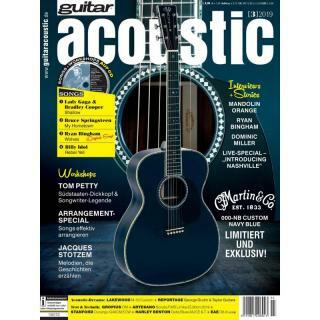 guitar 08/2012 jetzt als E-Paper kaufen! Bluescafé: Mississippi John Hurt ? ?Louis Collins? The Jimi Hendrix Experience ? ?The Wind Cries Mary? Amon Amarth ? ?The Pursuit of Vikings? R.E.M. ? ?Find the River?